Adult Size Predator Vs Prey Mittens. Classic rivalries never grow old. With this set of mittens, one hand is a finicky feline, and the other is a whisker hungry hound. Let the two loose and mayhem is sure to ensue. Just think of all the fun you will have as one hand is transformed into a dog, and the other into a cat. Fur will fly, claws will be used, and only time will tell who the winner will be. When two creatures this opposite are forced to share the same space it is only a matter of time before crazy, silly and otherwise ridiculous things start happening. Let the dog of it's leash and watch the cat scramble up the nearest tree. Did we mention that these also have the ability to keep your hands warm? They do a great job of keeping your digits frost-free, and thanks to high quality materials and craftsmanship, they will allow you to stay warm and have fun for many seasons to come. Vs Mittens will have you smitten with cold weather. Just as fun as they are functional, Vs. mittens have the ability to keep you warm, but you may find yourself playing with them more often than you are wearing them for heat. Perfect as puppets or mittens, you will be able to act out your favorite National Geographic style scenes, or get all boring and just use them to protect your hands from cold weather. 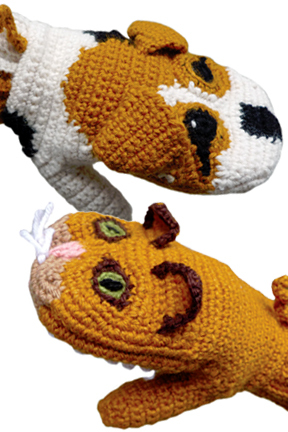 Amuse your friends and surprise unsuspecting strangers with these animal theme mittens. Kids love it when adults wear them, and adults who are kids at heart can't help but love them too. They add excitement and playfulness to an otherwise dull piece of clothing, plus they are high quality and nice and toasty when worn. 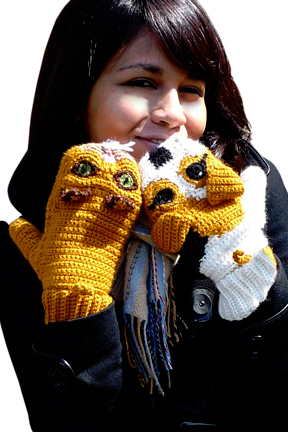 You’ll love your Predator vs. Prey Cat and Dog Mittens so much you’ll be preying for winter! All Vs. Mittens are handmade and sweatshop-free. The fun characters and vivid coloration make them an attractive choice for anyone. Equally suited for both males and females, they feature a one size fits most sizing. The material is a blend of strictly regulated Australian wool and acrylic which allows them to stretch to fit somewhat, but also makes them comfy and cozy for those cold winter days. Love the concept, but not digging this version? 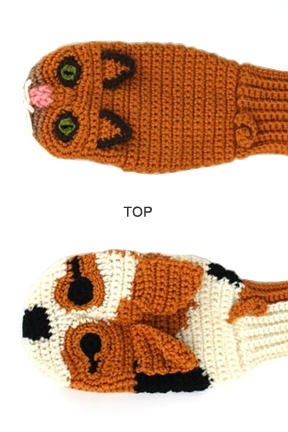 Check out all of the other styles here: Vs. Mittens. These are for adults, but we offer styles for kids also. Order Yours Today! 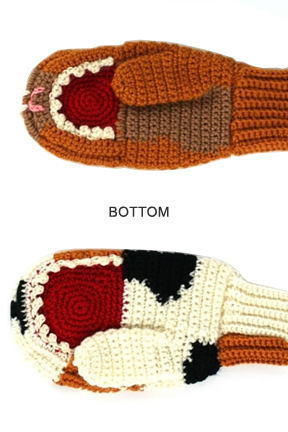 Predator Vs. Prey Mittens: Cat vs Dog - Have fun and keep your digits warm at the same time. Let the dog out and watch it chase the cat up a tree. This classic rivalry never gets old. Order Yours Today! Insulated Container That Combines The Convenience of Plastic & The Purity Of Glass.